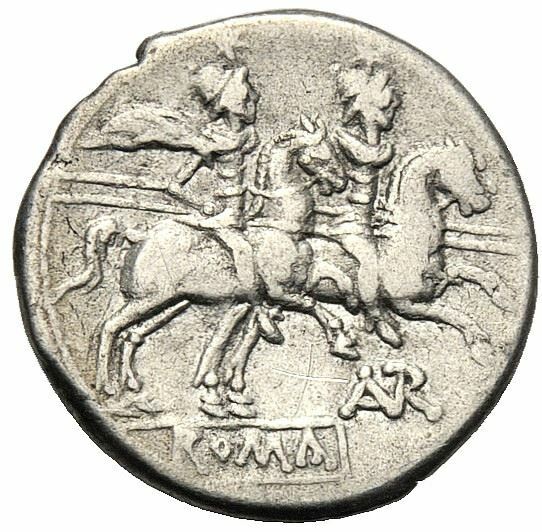 L. Autronius was one of the moneyers for the year 189-180 BC. He is otherwise unknown. Gens Autronia was a plebeian family at Rome. Persons of this gens first came into notice in the last century of the Republic; the first member who obtained the consulship was Publius Autronius Paetus, in 65 BC. The only surname of the Autronii was Paetus, a cognomen in many other gentes. It originally signified a person who had a slight cast in the eye, but it did not indicate such a complete distortion of vision as Strabo.